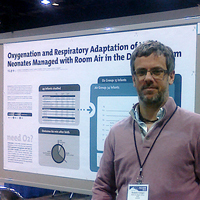 Last week took place the Pediatrics Academic Societies and Asian Society for Pediatrics Research (PAS/ASPR) Conference at Denver, USA (April 30-May 3, 2011); in which one of the posters presented was developed by MapCI. Members of MapCI team, Paola and Sheila, worked together with one of the doctors presenting his work during the conference, developing an interesting poster. Learn here more about the process of this project.